Maple is an ideal hardwood for living areas as it is extremely resilient with a streamlined appearance modulated by yellow, pink and light tan streaks that deepen when stained. Typically straight-grained, maple panels offer greater uniformity than many other wood types, lending a clean, fresh appearance that is both warm and modern. The application of a darker stain on maple will soften the wood’s natural complexity and create a more uniform finish. 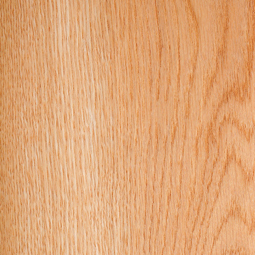 Oak is a deep open-grained wood that ranges in color from white and yellow to a rich red-brown. Occasionally streaked with black, green or yellow mineral deposits, the grain of red oak may form a characteristic sweeping arch pattern. The application of a stain on oak will accentuate the wood’s natural complexity and create a more distinct grain. 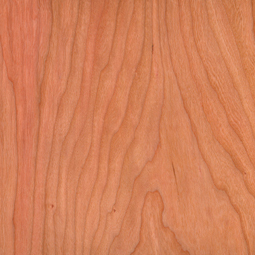 Unstained cherry wood has pink and pale brown hues that are sometimes streaked with shades of white, green and gray. A rich hardwood that often contains delicate pin-knots, whorls and other figures, cherry is often used to make fine furniture. While all cherry wood deepens with age, lighter stain applications can be used to emphasize subtle color variations. The application of a darker stain on cherry will soften the wood’s natural complexity and create a more uniform finish. 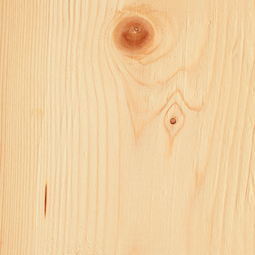 Knotty pine is named after its distinctive knots of varying sizes, which combined with mineral streaks and distinctive variations in color, create a warm, fresh countrified finish that mellows and deepens over time. 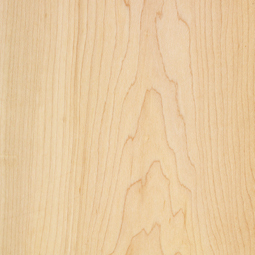 As a soft wood, knotty pine is more susceptible to dents and nicks than harder woods, and is well-suited to kitchen designs emphasizing a relaxed, live-in atmosphere. Cabinets finished in knotty pine will present a rustic, rural feel reminiscent of old farmhouses and log cabins, a perfect way to achieve warmth and character in a contemporary, updated kitchen.